Information about this event will be available here or on this event’s Facebook page at http://www.facebook.com/events/700517606727302/. Come early for the best seats and to enjoy the food & drinks at Midtown! A waitress will also be serving the patio and dining seating will be available for those who chose to do so. 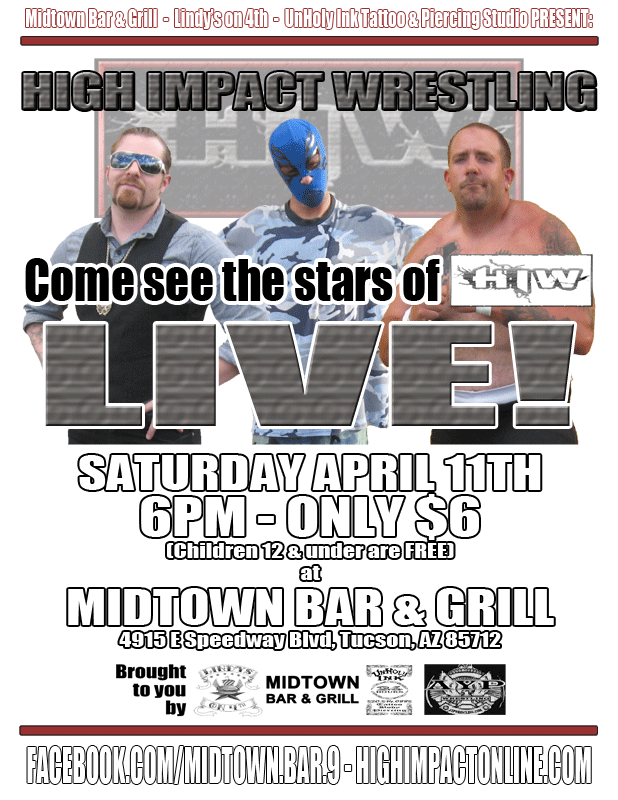 Join us for an action packed show that will be taped for the High Impact Wrestling TV show available on YouTube at http://youtube.com/HighImpactOnlineTV!